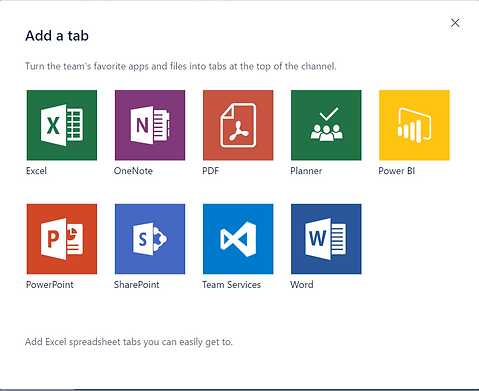 Microsoft released Teams and a lot of people are talking about it, but I get the sense that like a lot of other things not many people have figured out just where Teams fits in their day. You’ll have the nay sayers complaining it’s another thing they have to check. You’ll have the over zealous adopters, super excited about it and trying to use it for everything. But where does it’s longevity come into play? We have been testing the use cases and experimenting with different ways to use Teams in our office. It seems it’s not just another tool, honestly it feels like yammer, groups, and Skype chats all rolled into one amazing place. Even better it has a true mobile story, and push notifications work! HELLO 2017! In a completely new direction you can start a chat or conversation with the team and leave your desk and still continue that same conversation on your mobile. (Hopefully not while driving please, even if your Tesla is the pilot). How will you spend your free time not chained to your desk? So what can you do with Teams? Conversations and chats really make teams feel like a great home for members, but it’s the integrations that make it a home run. Let’s be honest everyone expects to be able to quickly start a chat, conversation and search through those now. When the integrations start to roll out, we were not very hopeful that they would actually be useful, but they are incredibly useful. 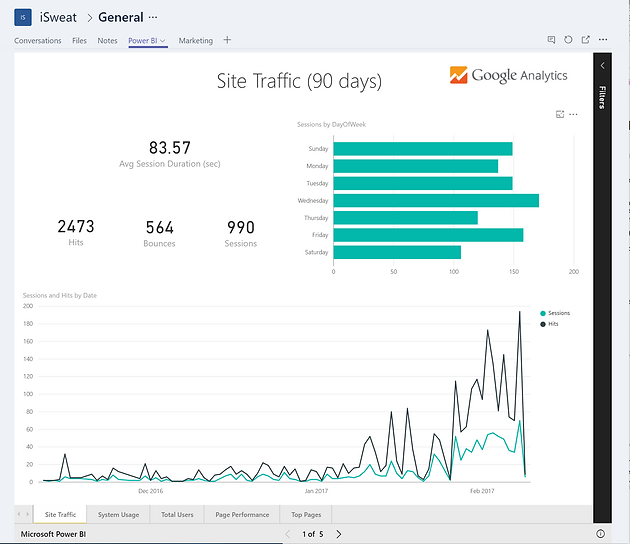 They add them as tabs to your Team, and what comes out is basically a fully usable product, for instance take a look at the Power BI report integrated in teams below. So now you can take almost all of Office 365 and start putting it all together in one place, no more navigating back and forth from one product to another. You can setup your hierarchy and start adding the different pieces you need for each team. Feel free to reach out if you have questions about how your organization can truly reach a digital workplace and how Microsoft Teams can help, info@coupledtech.com or call or text 702-305-2717. We only have 20 seats left! Build workflows like a boss! Nintex Workflow training in person Las Vegas! Register for our webinar today! Thanks for registering, see you on June 7th! Book your free Valo Demo!